Where have I been? …and where am I going?? The eagle eyed among my readers might just have noticed that my posts have slowed down in recent weeks. My plan has been to try and add one post per week since the Summer but I am still very behind. I feel that an explanation is due… I have been a stay at home mother & vicar’s wife for almost 25 years and now my family responsibilities are fewer have been wondering what to do with my life. I have long wanted to work alongside my husband in the church so in September I started on the Course in Christian Studies run by Chelmsford Diocese, which although a fairly basic theology course is still a challenge for me. It is over 30 years since I have studied seriously: the reading and thinking are OK, but I am still getting used to doing homework and the prospect of doing essays looms. It is a two year course and at the end I should get a certificate and a pat on the head from our bishop. As for ‘… where am I going?’ I’m not sure where this will all take me but it is an interesting course and an exciting journey. So please bear with me: I will post when I can and meanwhile do my best to catch up. 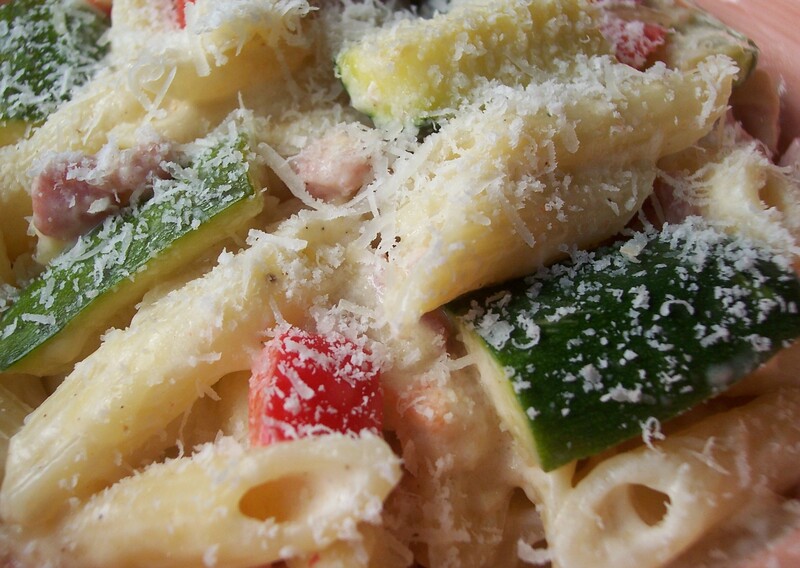 I suspect that simple quick meals might be the order of the day for the time being, but there are a number of recipes already done which simply need writing up. If I do ever catch up with posts I will probably delete this message. Meanwhile, back to the homework – we are studying the Old Testament this term…! 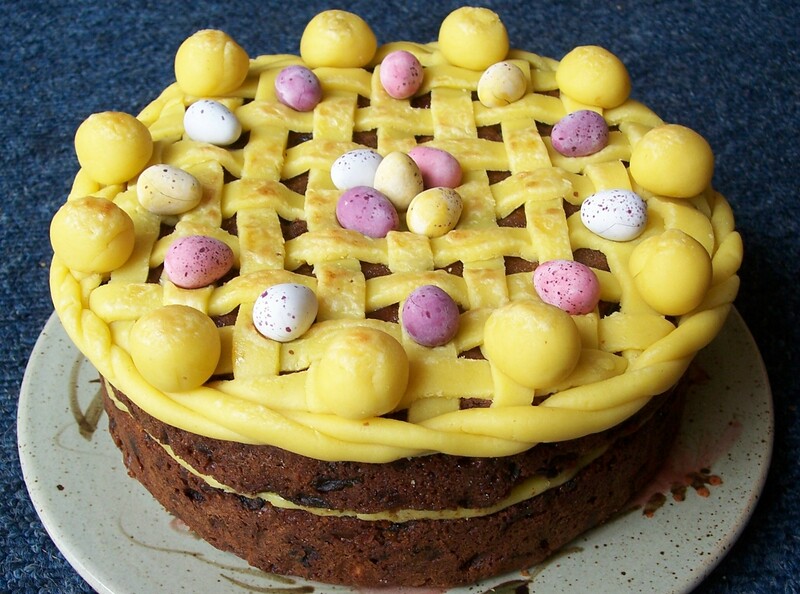 See Special Occasion Rich Fruit Cake for cake recipe and information on making a Simnel Cake. I was reminded of this recipe this morning when a friend at church brought in duck eggs for sale. We had a ready supply throughout last year but the ducks have been taking a break from laying and the resumed supply is something we have eagerly anticipated! I discovered this very simple recipe last year and although you can use hen’s eggs the larger and richer duck eggs (see picture) make it an extra special light supper. I have made egg curries in the past and we always enjoy them, but this is one of the simplest recipes I have come across. Once more this recipe is based on one from one of my favourite books: Hot & Spicy Cooking: Exciting Ideas for Delicious Meals with recipes by Judith Ferguson, Lalita Ahmed and Carolyn Garner, with just a few very small tweaks. It’s simple sauce could be used as a base for any grilled meat or fish or diced meat or fish could also be incorporated. It reminds me a little of other recipes on this site, in particular Pork Sausages Indian Style, a Madhur Jaffrey recipe and Prawn & Tomato Korma, both of which are favourites. If using hen’s eggs then it is probably better to serve one and a half or even two per person for a light meal: with duck eggs one should be adequate. If you are serving this at a larger main meal then you will definitely need more eggs and the sauce will serve only two or three people. If serving as one option at an Indian style multi dish meal then the eggs should be quartered. This could also be served as a starter with half an egg per portion (in two quarters) and a small piece of naan or poppodums. 1. Hard boil the eggs in boiling water: 10-12 minutes for duck eggs or 8-10 minutes for hens eggs. Once cooked plunge immediately into cold water, which will cool them and also help prevent the unsightly grey ring that can form around the yolk. I usually steam hard boil eggs, having pierced the shells first, which takes about 5 minutes longer. 2. Finely chop the onion and gently fry it in the oil for 2-3 minutes so it is soft but not browned. 3. Stir in the finely chopped garlic and ginger along with the cinnamon, bay leaf, cardamoms and cloves. Fry for 1 minute. 4. Add the coriander, cumin, turmeric, garam masala and chilli powder. Stir well and fry for about 30 seconds more. 5. Add the chopped tinned tomatoes. Stir well, bring to the boil and simmer for 5 minutes. Add the stock or water and bring to the boil. Season to taste. 6. Put the hard boiled eggs into the sauce and simmer for 10-12 minutes. 7. 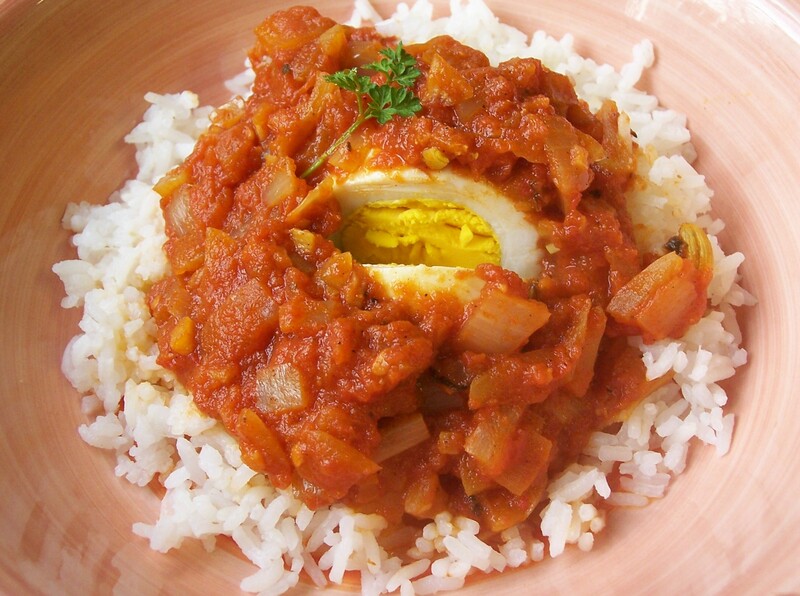 Serve sauce on a bed of plain boiled rice with egg or eggs placed on top. Garnish with coriander or parsley and, if you wish, a little finely sliced green chilli. Mulligatawny is such a strange sounding word, but it simply means pepper water. Rather than being rooted in India, it is thought that Mulligatawny probably originated in Sri Lanka, although it could possibly have come from the Tamil speaking people of South India. ‘Mulligatawny’ or ‘Milagu Thanni’ is an amalgam of two Tamil words: ‘Millagu’ meaning pepper and ‘Thanni’ meaning water, although the soup we eat is probably closer to another Tamilian soup called Rasam. Originally a thin soup, under the rulers of the British colonial Raj Mulligatawny became rich and dense. 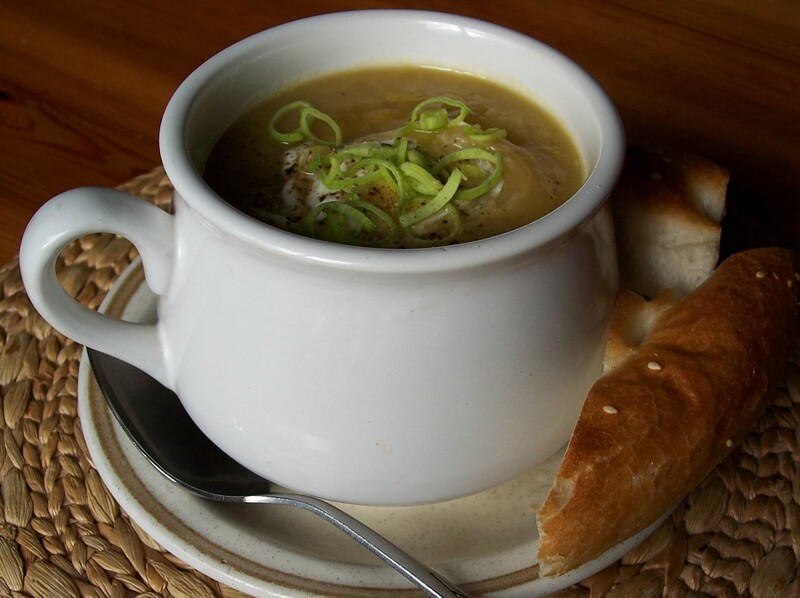 A Mulligatawny soup recipe such as this one would have been familiar to those Britons who lived and worked during the Imperial Raj, the British rule of the Indian subcontinent between 1858 and 1947. Sri Lanka (formerly known as Ceylon), a large island just to the south of mainland India, had close ties to Britain but was never part of the Raj. The British tried to recreate familiar dishes, as far as possible using the new and unusual ingredients they found but the hot climate, lack of refrigeration and unfamiliar cooking facilities would have made this very difficult. Originally Mulligatawny was served as a vegetarian ‘sauce’, but the British varied the recipe, including meat and other ingredients, often thickening it with rice and adding turmeric to give a yellow colour. Recipes for Mulligatawny appeared in many Victorian publications including one in the 1870 Nabob’s cook book which featured the addition of ‘fowl’. Although the soup was popular in India and Ceylon, it was not highly thought of back home in England but the resulting mixture of East and West has cast an influence on British cooking which can still be found today. I have wanted to make Mulligatawny Soup for some time but when looking for a recipe, as you can imagine from the information above, there is a great deal of choice. I knew that I wanted to make a hearty and spicy soup which could be eaten in place of a main meal: the type that would be ideal when the weather is at its January chilliest. 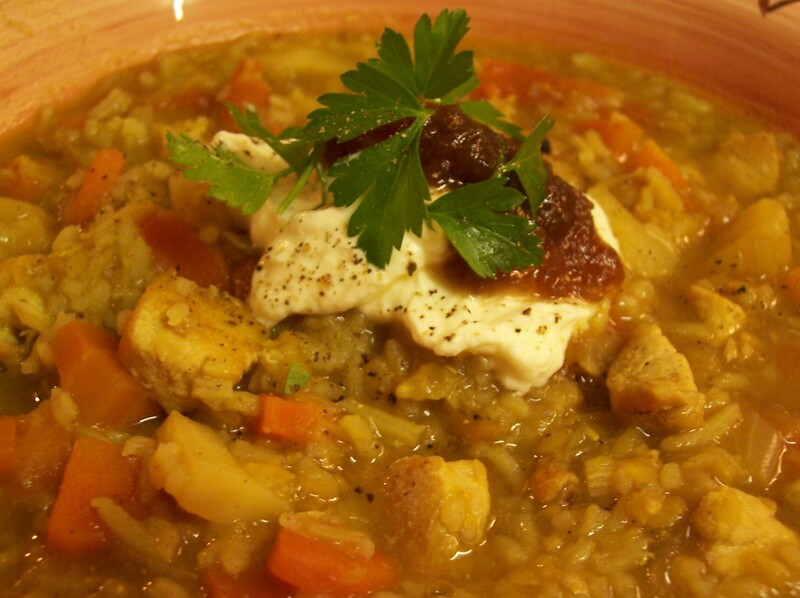 I found two complementary recipes and this version of Mulligatawny Soup is a combination of the best of both. The sources were Women’s Institute Soups for all Seasons by Liz Herbert and a wonderful recent find (from the secondhand bookstall at the church where my choir meets) The Ultimate Hot & Spicy Cookbook by various authors (published by Lorenz books), which I will certainly be revisiting again and again. I certainly wanted to add meat, chicken from choice (but this could be varied) and unable to choose between adding rice as in the Women’s Institute Soups for all Seasons and lentils as in The Ultimate Hot & Spicy Cookbook I decided to add both, something I will definitely do again. The second book also included sultanas, but as I do not like these in curries I have left them out. The dollop of Mango Chutney (home made, of course!) made it sweet enough for me. 1. Melt the butter and oil together in a large saucepan. Turn up the heat and fry the diced raw chicken quickly turning frequently until it has browned. (Cooked leftover chicken should be added about 10minutes before the serving which should be just long enough for it to be thoroughly heated through.) This should take about 2 minutes. Remove from the pan and set aside. 2. Stir the curry powder into the remaining oil and cook briefly. Add the onion, garlic, carrot, potato and turnip (if using) to the oil remaining in the pan. Stir well and turn down the heat. Cover and cook very gently for about 10 minutes. 3. Add the stock and stir well. Add the cloves, crushed peppercorns and chopped tomatoes. Bring to the boil and reduce the heat, cover the pan and simmer gently for 2o minutes. 5. Remove the cloves before serving if you can find them. Taste and adjust seasoning. Serve in warmed soup bowls topped with a dollop of natural yoghurt, crème fraîche or sour cream, a spoonful of mango chutney and a scattering of chopped fresh coriander leaves (or parsley). This can be served with Naan bread if you wish. Madhur Jaffrey first came to my attention in the 1980s, initially as an actress in the Merchant Ivory film ‘Heat and Dust‘ and then through her popular Indian Cookery Series on the BBC. I still have and use the book which accompanied the series called, simply, Indian Cooking along with a second book, beautifully illustrated with colour plates as well as recipes, called A Taste of India and a slim booklet produced by the BBC for the series Flavours of India containing a few ‘taster’ recipes from the full length book. Climbing the Mango Trees, a delightful autobiography containing black and white family photographs and a large number of recipes, tells of Madhur Jaffrey’s childhood in India around the time of Partition. In this very readable book she introduces us to the world of her Indian childhood with its joys and sadnesses and shares many stories of the wonderful foods the family enjoyed. She describes how she grew up as part of a large and wealthy extended family who lived in very close proximity to one another, bringing a long lost age back to life. In particular Madhur Jaffrey shares memories of meals with her readers, from everyday dinners, lunches, breakfasts to foods eaten on special occasions, such as mass catered family weddings or picnics. 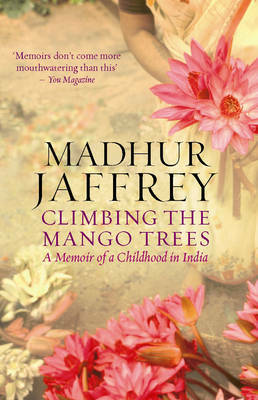 Many anecdotes in the book centre on the smells and flavours that take Jaffrey back to her childhood, such as the tart but spicy flavour of unripe mango, eaten straight from the tree and dipped in salt, pepper, red chillies or roasted cumin. She tells of picnics in the foothills of the Himalayas with sultana and mint stuffed meatballs, ginger and coriander flavoured cauliflower and spiced pooris, a type of puffy bread, eaten with hot green mango pickle. Partition brought changes as the political map was rewritten. Schoolfriends and their foods disappeared as Muslim friends fled the country, taking with them their Keema dishes of spiced ground meat, to be replaced by the incoming Pujabis who introduced Tandoor ovens with their distinctive way of baking bread and roasting spiced meat. At the back of the book are 32 family recipes and I hope to try many of them out at some point including: Potatoes with Tomatoes, Lamb with Spinach, Maya’s Meat with Potatoes, Bimla’s Chicken Curry, Everyday Cauliflower, Carrots with Fenugreek Greens, Savoury Biscuits Studded with Cumin Seeds and Fresh Limeade. This was a book that I enjoyed very much. Part biography, part food memoir, it taught me through the eyes of a young girl much about life in a country going through extreme change, but also the need to value that which cannot be altered: the enduring importance of family bonds and of shared food in keeping memories alive. If you are fascinated by India or its cooking I hope that you too will enjoy climbing the Mango Trees in company with Madhur Jaffrey. Once the New Year celebrations are over what is needed is warming and filling food against the inevitable Winter chill. It is a time for thick tasty soups, hot pies and stews: comfort food at its best. Here are some more favourites. We enjoy warm spiced plums at any time as they are so warming in the cooler weather but this year I used them cold in our New Year Mulled Plum Trifle. There are two family favourites: Leek & Potato Soup – Vichyssoise and a Pork & Beetroot Pie (or casserole if you prefer). 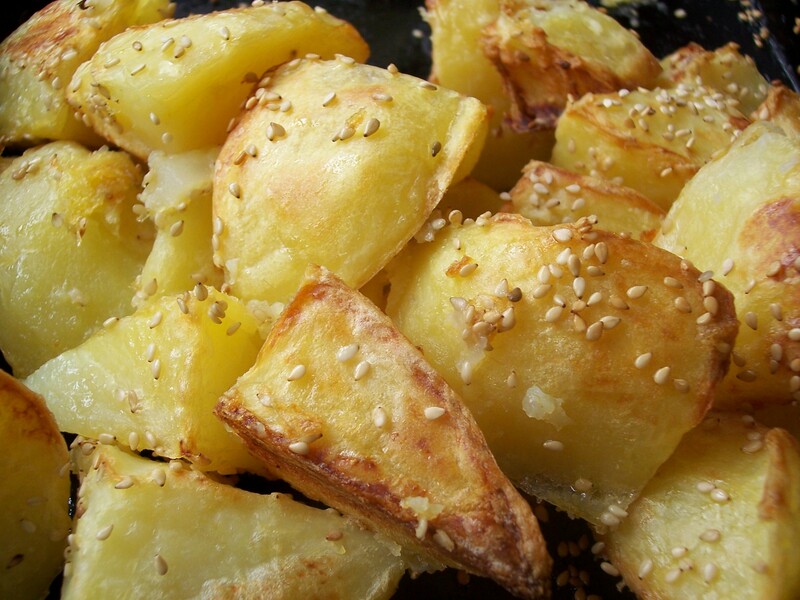 Finally I am sharing my method of cooking crispy Roast Potatoes, with the added crunch of sesame seeds. Coming in February … Warming and spicy Indian inspired recipes, just right to keep out the winter chill. To start off the month, however, will be a review of Madhur Jaffrey’s autobiography of her Indian childhood, Climbing the Mango Trees, which includes her favourite family recipes. Sometimes I look at a recipe like this and think that it is almost too simple to earn its place on this site. However although it was simple I was so pleased with the outcome I just had to add it here. One of my original motivations for writing here was to add some straightforward and favourite family recipes for my daughter to use (as well as for me to remember). This certainly fits the bill and anyway, it is about time I shared here my own particular method for crunchy roast potatoes – with or without the sesame seeds. This method of cooking potatoes is a combination of the method taught by my mother and ideas gleaned from other sources: books and television in particular. My grandmother roasted potatoes in margerine as my grandad was vegetarian and this gave her potatoes a distinctive taste: actually not unpleasant but something I would not want to copy. Mum originally used lard but often with dripping from the roasting meat and the potatoes took on some of the flavour of the dinner. In recent years she has substituted healthier sunflower oil for the lard. There is family discussion too on how to cut the potatoes: my mother in law favours large flat pieces that keep their shape whereas I grew up with smaller chunkier pieces which tended to crumble easily but had wonderful crisp crusty edges. The potatoes pictured below are slightly crusty but not as super-crumbly as I like them. There are many different varieties of potato and each will cook slightly differently, but all will become brown if cooked in hot fat and a hot oven even if they do not crumble very much. This method is the way I make sure that my roast potatoes have those crispy edges, as well as the ‘cooks perks’ bits that crumble off and are left in the roasting tin. My own choice of cooking fat is usually olive oil, because of the flavour it gives, though I often use a little sunflower oil and occasionally meat roasting juices. Recently Goose fat (or Duck fat) has been gaining in popularity. I bought a jar at Christmas which I combined with olive oil. Although not especially healthy Goose or Duck fat does give a lovely flavour and a crisp golden finish. It is quite expensive to use exclusively and most I have seen seems to be imported from France: perhaps another item to put on my ever increasing list of potential holiday food purchases?! Be warned. Good roast potatoes are addictive and potato is relatively cheap so don’t stint on quantities. If you have a one or two left the garden birds will love you for it! 1. Preheat the oven if not already in use. If roasting potatoes alongside a joint I turn the oven up to 200oC/400oF/Gas 6 first, putting them into the oven at the same time as I remove the lid from the roasting tin to finish the roasting meat. Once the meat comes out of the oven to rest before carving I turn up the heat to 200oC/400oF/Gas 6 220oC/425oF/Gas 7 but if possible heat the oven to this higher temperature from the start. 2. Peel and cut the potatoes into pieces. A medium sized potato can cut into four larger or eight smaller pieces – your choice. 3. Plunge into boiling slightly salted water, put on the lid and cook on a gentle rolling boil until you can slip the point of a knife easily into a potato piece. This will be about 8-12 minutes depending on the type of potato: some break up very quickly so watch carefully especially if you are cooking a new variety. 4. While the potatoes are cooking put the oil and/or fat into a large roasting tin and place in the oven. The potatoes do not need to swim in fat but you need enough for them not to stick. Remember that they will soak up fat as they cook, but you can add more if needed. 5. Drain the potatoes in a colander and gentle toss them around so the edges of the potato are slightly fluffed up. How much you do this will depend on how fluffy the potato edges are already. 6. Tip the potatoes into the roasting tin and turn them in the hot fat. Sprinkle with a little salt and return to the oven. 7. Turn the potatoes at regular intervals, adding a little more oil only if absolutely necessary, until they are golden and crispy. It is difficult to give exact timings for this but for really crisp potatoes you need to allow at least 45minutes and maybe a little longer. 8. Shortly before the potatoes are cooked remove the tin from the oven and generously sprinkle them with sesame seeds. The should be returned to the oven for at least five minutes more to allow the seeds to toast. 9. When serving drain any excess oil away from the potatoes before serving with any dinner of your choice, although this is particularly good with roasted meat. We enjoy a sprinkling of crunchy bits and toasted seeds that have ended up in the bottom of the pan as well! The worst bit of this recipe is probably the pink fingers you will get from peeling the raw beetroot. The final result is one of the most colourful pies you will come across. I say pie, but this recipe works equally well as a stew or casserole, omitting the pastry layer. It is relatively quick to make but impressive enough to serve to guests: just check first that they are beetroot lovers as not everyone is. They might, of course, be prepared to have their minds changed, especially if their only previous experience of beetroot has been in jars pickled in vinegar, which is definitely love it or hate it. I am trying to do my bit to try to redress the beetroot’s poor reputation, so on this site you will find a number of recipes which involve neither pickling or vinegar, the only exceptions to date being Raw Beetroot Salad and my most commented upon post, Beetroot Chutney. 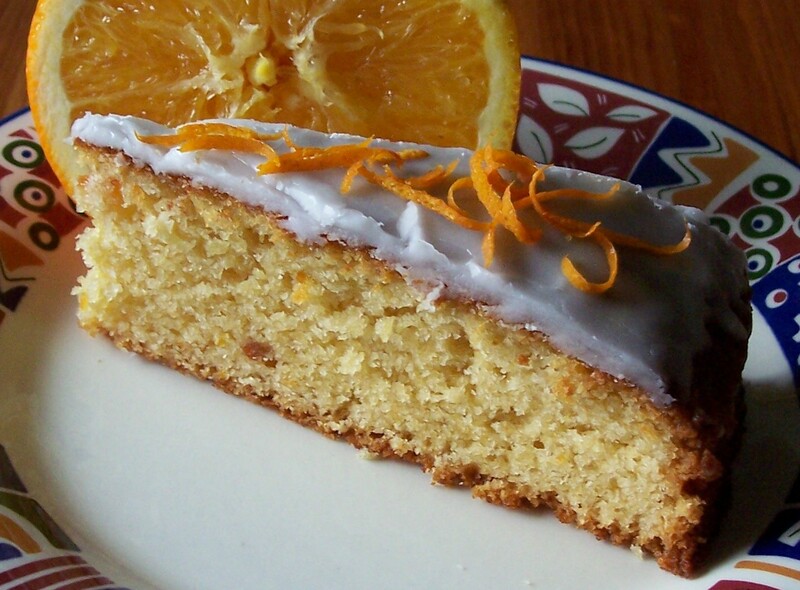 However, for a vinegar free beetroot experience, why not try Rosy Potato Salad, Rosy Roast Root Vegetables, Moroccan Style Beef Stew with Oranges & Beetroot … or even Beetroot Seed Cake! The basic recipe comes from Complete Mince Cookbook by Bridget Jones. It is little changed from the original apart from the addition of a few herbs and the suggestion that a small amount of red wine vinegar, for a similar flavour, could be added in place of red wine if it is not available. (I often reduce the wine a little for everyday meals anyway, hence the two quantities.) Please don’t think that this is will in any way add a pickled taste but it does enhance the flavour of the dish beautifully. Use either minced pork, as in the original, or substitute chopped pork. Top with shortcrust pastry as in the recipe or use puff pastry instead. As I said earlier it can be made without a crust, just stir the soured cream into the stew just before serving instead of spooning it into the hole. If soured cream is not available then sour some cream with a little lemon juice (a tip I read somewhere else a year or so ago) or substitute either yoghurt or crème fraîche. 1. Preheat oven to 180oC/350oF/Gas 4 for casserole or 200oC/400oF/Gas 6 for pie. 2. Melt the butter and olive oil together in a pan and cook the onion and the beetroot together until the onion is soft but not brown. 3. Stir in the pork and fry briefly stirring to break up the meat if it is minced. Add the stock and stir in. Season to taste. 4. Mix in the wine (or wine vinegar and a little water – more can be added later if needed). Bring to the boil and remove from the heat. 5. If this is being served as a casserole then transfer the contents to a casserole dish and place in the preheated oven for 30-40 minutes. Alternatively cover the saucepan and leave it on a low heat to continue to cook for at least 30 minutes. Check seasoning, stir in a swirl of soured cream (but do not completely combine) and scatter with chopped parsley before serving. 6. The pie version has a lid but no pastry underneath. Roll out the pastry until it is just a little larger than the circumference of the pie dish. 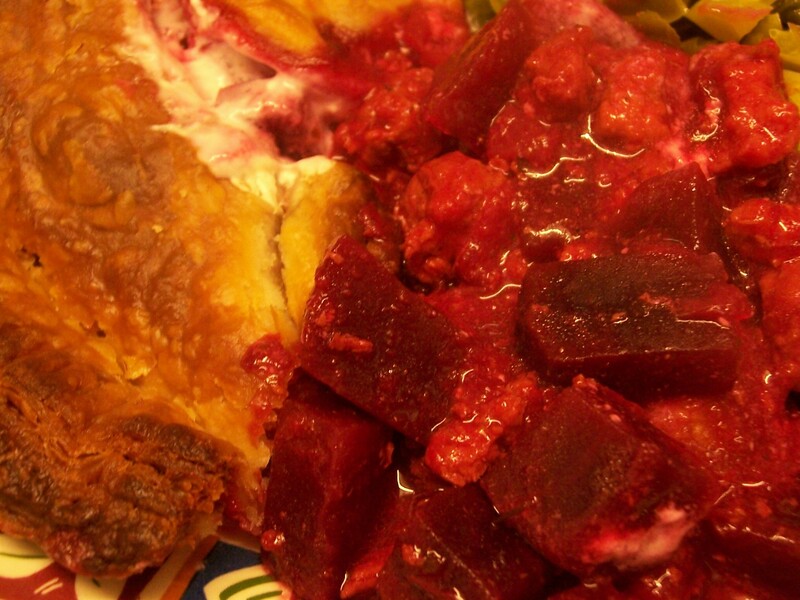 Fill the dish with the pork and beetroot mixture. From the leftover pastry cut a strip and place it round the edge of the pie dish. 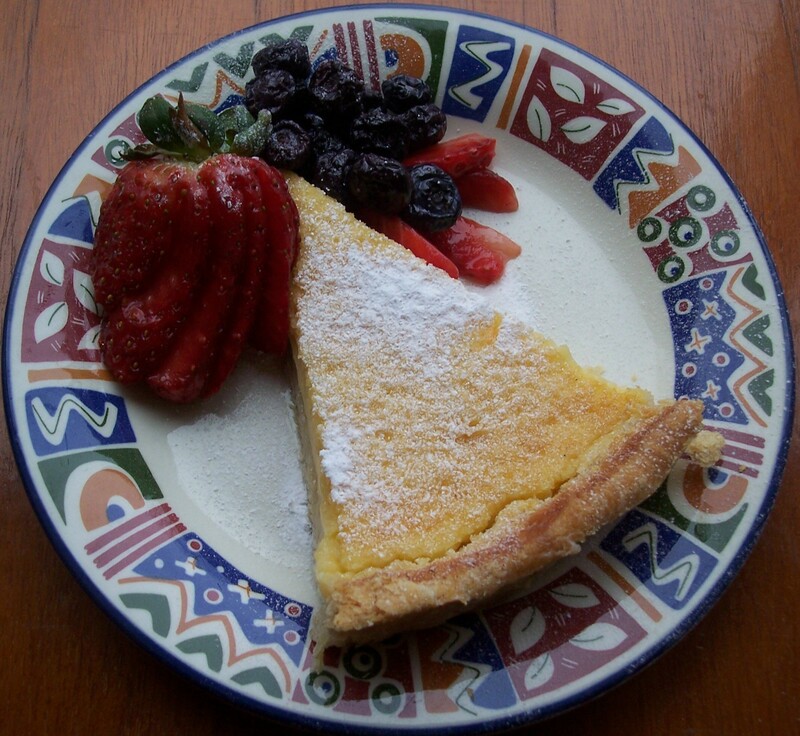 Lift over the lid and using a small round cutter (about 2.5cm/1inch in diameter) cut a hole in the middle of the pie. Pinch the edges of the pastry together with the edge strip in a fluted design, using fingers or a fork, and trim any overlapping pastry to size. 7. From the remaining pastry cut a circle of pastry about 3.5cm/1½inches in diameter and use it to loosely cover the hole in the pie. If needed any remaining pastry can be used for decoration. The pastry can be brushed with beaten egg to give a golden finish or a little milk before baking. 8. Bake in the preheated oven for about 40 minutes. 9. Just before serving carefully remove the circle of pastry from the middle of the pie. Using a funnel pour in the soured cream and then replace the circle and serve the pie immediately. 10. 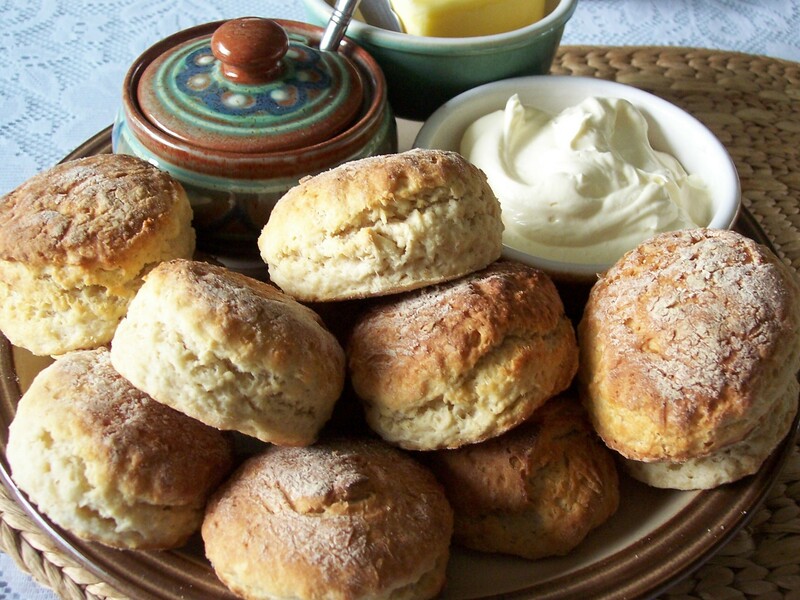 Serve with creamed or small new potatoes and a simply cooked green vegetable. ‘…food writer Julia Child calls Vichyssoise “an American invention” whereas others observe that “the origin of the soup is questionable in whether it’s genuinely French or an American creation”‘. There are a lot of good Leek & Potato Soup/Vichyssoise recipes around. This version came from Potatoes: more than Mashed by Sally Mansfield, one of my most recent charity shop finds. It has other lovely ideas I am sure its recipes will appear again. The original quantity, however, was a less than generous lunch for the four people specified so the quantities below have been increased by about a quarter so as a first course it could probably serve up to six. There are also a few little personal tweaks: cooking in olive oil as well as butter, increasing the onion, adding fine strips of leek and crème fraîche to garnish. The original recipe was for chicken stock but turkey or vegetable stock can be substituted. For a richer soup replace some of the water with milk or even single cream (in which case a little could be reserved to swirl on top). Yoghurt, or as I used this time, crème fraîche could also add the finishing touch. All that is needed is some lovely crusty bread to serve alongside. In the picture is a small piece of a large Pide flatbread bought from the wonderful bakery in our local Turkish supermarket. 1. Heat half of the butter and the olive oil in a saucepan and gently fry the onion and chopped leeks until transparent and soft, about 7 minutes. Stir them occasionally and make sure that they do not brown. 2. Add the potato pieces and cook, stirring occasionally for 2-3 minutes. 3. Add the stock, bring to the boil and reduce the heat. Cover and simmer gently for 30-35 minutes. The vegetables should be very tender. Taste and season as required. 4. The soup can be left either very chunky or liquidised until smooth. I part liquidise the soup so there are a few chunks left. Take care over liquidising potato as the starch can make it very sticky. Add plenty of liquid with the vegetables and liquidise in short bursts until smooth. Return to the pan, combining with any remaining chunks if making a mixed texture soup. 5. Reheat the soup, stirring in the remaining butter in small pieces. Check seasoning. 6. Serve with a swirl of cream, yoghurt or crème fraîche, a few strands of leek and a grind of black pepper in each bowl, along with a piece of crusty bread. 1. Quarter the plums, remove the stones and place in a shallow pan (I use my large frying pan) along with the lemon zest and juice, ginger slices, cinnamon stick, cloves, star anise and bay leaf. Sprinkle over the sugar, add the water and bring to the boil. Put on the lid and turn the heat down low. Stew very gently for about 10 minutes until the plums are soft and the liquid is syrupy. Remove the lid and boil briefly if the liquid needs to be reduced. 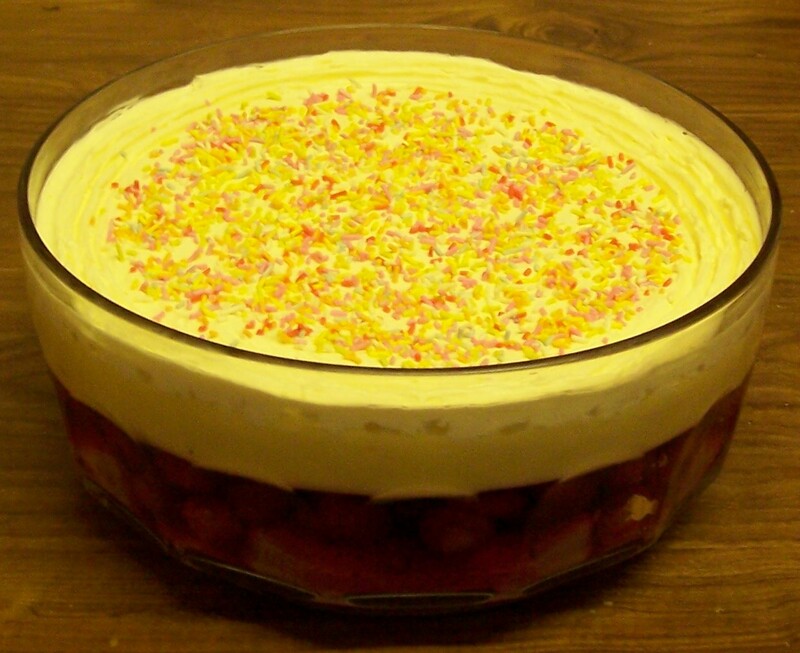 A little extra water can be added but only if absolutely necessary as although it will soak into the sponge too much liquid will make the trifle watery (remember that this trifle is not set with jelly or gelatine). Remove pan from the heat and leave to cool. This step can be done in advance the the plums refrigerated. 2. Make up a pint of custard, varying the amount of sugar used according to the sweetness of the base layer. Leave to cool. 3. Toast the almonds either under a hot grill, in a dry frying pan or for about 5 minutes in the oven if it is on. Leave to cool. 4. 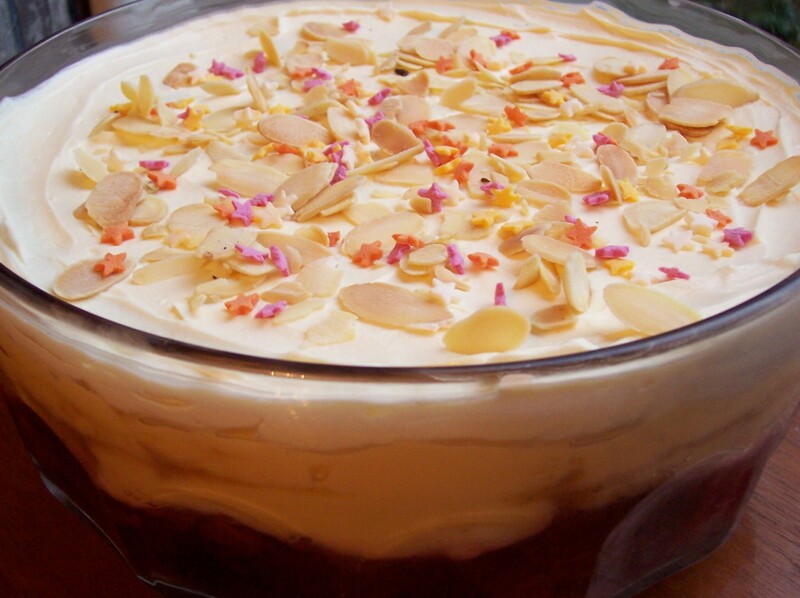 Line the base of a transparent glass dish with trifle sponge fingers/Boudoir biscuits and soak with the almond liqueur or sherry. 5. Spoon the plums and their juice into the bowl, distributing evenly and removing the spices and bay leaf as you come across them. 6. Spoon the cooled custard carefully over the plums, distributing evenly and smoothing carefully. Try to avoid the dark plum juice ‘bleeding’ through the surface of the custard. 7. To serve: Whip the cream and spread evenly on top of the custard. Just before serving sprinkle over the cooled almonds (this way they will retain their crunch) and any other decoration such as dragees or stars. A very happy New Year to all my readers! At the start of a new year I like to look back to see which posts on this site have generated the most interest. (Click the links for previous statistics: 2009 and 2010). WordPress 2011 in review has also provided their own take on my statistics. I like to keep track of the statistics too, by way of comparison from year to year.